Free bus to the Shopping Eons mall and to the downtown of Narita. Frequent shuttles to NRT, Aeon Mall & JR station in Narita. It is basic, clean and spacious and only a few minutes walk to Narita Airport. 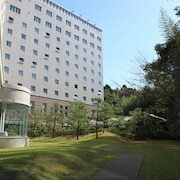 Nice cheap hotel very close to Narita with impeccable services and hospitality as is typical in Japan. 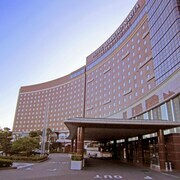 The hotel offer transportation from the airport and a shuttle to the shopping area of Narita. Friendly staff. Very clean rooms. Close to JR Chiba station and many places to eat. This is my 3rd time staying here and I would recommend it to anyone. Rooms are bigger than other hotels in Japan, although still on the small side. 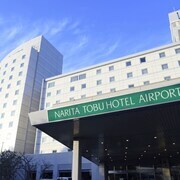 Where to find Narita hotels near an airport? Where can I find hotels in Narita that are near tourist attractions? If you are trying to decide where to base yourself in or near Narita, there is a wide array of options to choose from. Expedia's booking page currently lists 20 places to stay within a 0.1-kilometre (0.06-mile) distance of the heart of Narita. Stay near central Narita. 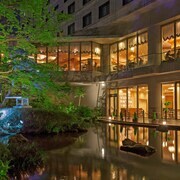 Hotels in the vicinity include Hilton Tokyo Narita Airport and Crowne Plaza ANA Narita. Budget travelers can relax. 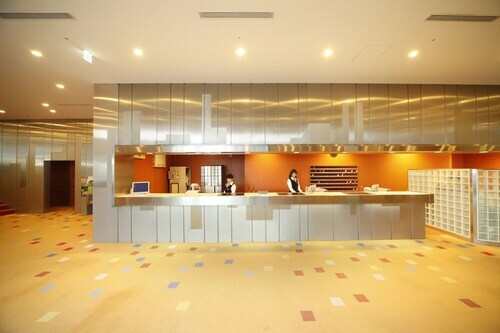 Narita offers plenty of budget hotel options. The Apa Hotel Keiseinarita-ekimae is 5 kilometres (3 miles) from the main part of Narita, while the Narita Gateway Hotel is 3 kilometres (2 miles) away. 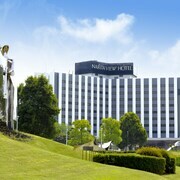 The The Hedistar Hotel Narita and the Mercure Hotel Narita are some other lower-cost hotels worth checking out. 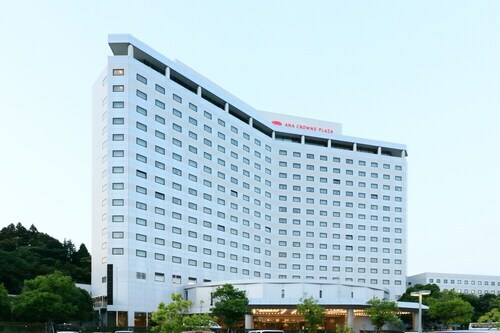 You could check out the Narita Tobu Hotel Airport and the Radisson Hotel Narita. 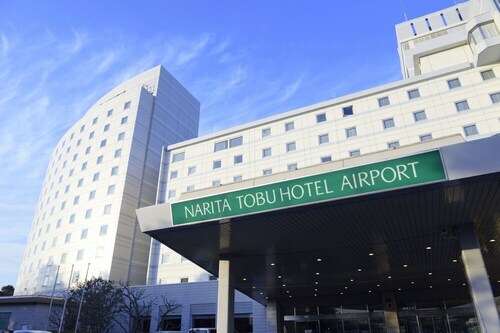 The Narita Tobu Hotel Airport is situated 4 kilometres (3 miles) from the middle of Narita. 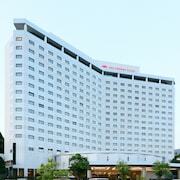 The Radisson Hotel Narita, is positioned 7 kilometres (5 miles) away. 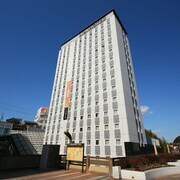 The Hotel Nikko Narita and also the Chiba Washington Hotel are two other recommended accommodation options worth checking out in Narita. Urayasu is 45 kilometres (28 miles) to the southwest of Narita and is home to the Disneyland® Tokyo and Tokyo DisneySea®. The Hotel Dream Gate Maihama and Hotel Okura Tokyo Bay are just some of the fabulous Expedia-listed lodging options in Urayasu. 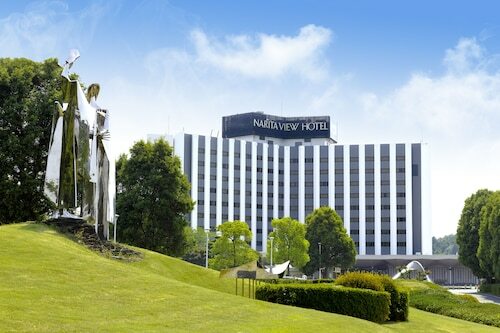 Alternatively, you could consider staying at Nagareyama, 40 kilometres (25 miles) to the west of Narita, where you can pick from the Mitsui Garden Hotel Kashiwa-no-ha and Hotel Sunoak Kashiwanoha. The Nagareyama City Museum and Issa Soju Memorial Hall are a couple of the most popular places to check out while in Nagareyama. Get your sports fix by making a trip to Tokyo Dome, which is 55 kilometres (35 miles) to the west of Narita. Sleep right near the action at the The Ritz-Carlton, Tokyo or the Four Seasons Hotel Tokyo at Marunouchi. Narita International Airport is a convenient airport, and can be found 5 kilometres (3 miles) away from Narita. 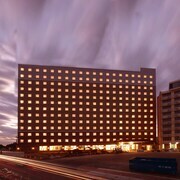 Conveniently located Expedia-listed hotels include Narita Excel Hotel Tokyu and Hotel Sky Court Narita. What are the most popular Narita hotels? Are there hotels in other cities near Narita? What other types of accommodations are available in Narita? Explore Narita with Expedia.ca’s Travel Guides to find the best flights, cars, holiday packages and more!